File this under "If I Was a Millionaire"...these would be my dining chairs. Complete with custom Leontine monogram. That Jane Scott is a stylish woman. How awesome would a set of these be for your Easter table? Or, I guess I could settle for just one as a desk chair. I absolutely love how the splendid monogram pops on the purple. Pretty low-key weekend around here. Hope you're up to something fun. Enjoy it and see you next week! Stunning and yes, Jane is a genius at her artistry!! Love this chair! Have a fab weekend Daniela! Fabulous chair! 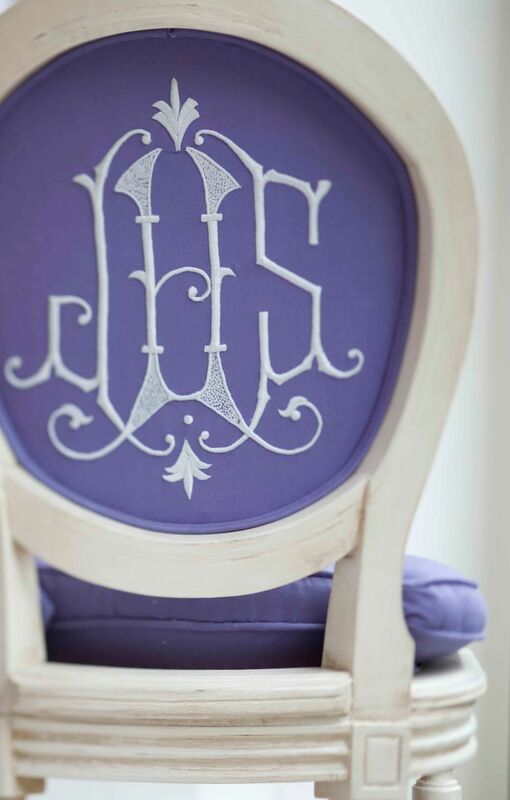 I love a beautiful monogram. Thanks for sharing.